Becca x Jaclyn Hill Champagne Pop Highlighter - Since this highlighter launched it's been huge over the internet, what with the amazing highlighters Becca cosmetics have to offer already and then a collaboration with the wonderful Jaclyn Hill it was a must for me when I entered the Sephora store. As soon as I seen the shade up close, I practically ran to checkout! It is the most beautiful sun-kissed, golden shimmer! It looks perfect with little makeup or a full face, you can have it natural or achieve a serious highlight and I imagine it will work great with so many skin tones and makeup looks, I actually get excited applying this product every morning..
Anastasia Beverly Hills Contour Kit - At a first glance this kit was a lot smaller than I thought it would be, but the pigments are great which means a little goes a long way! The shades are individually unique and work lovely with different skin tones. 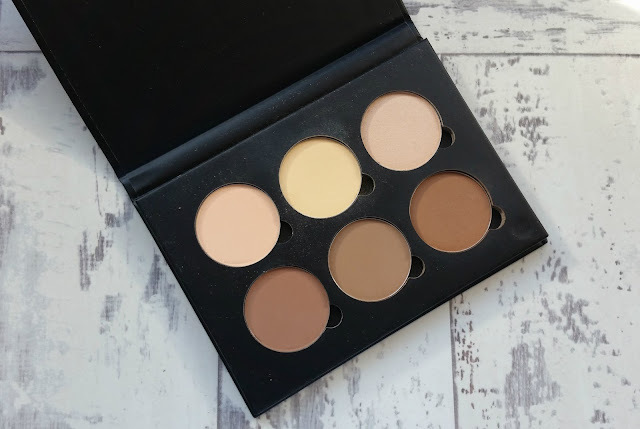 I find this great for throughout the year when our skin changes, this palette makes it easy to work with and I still get a great highlight and contour! My favourite shades I've been using lately are Banana (top middle) and Havana (bottom right). 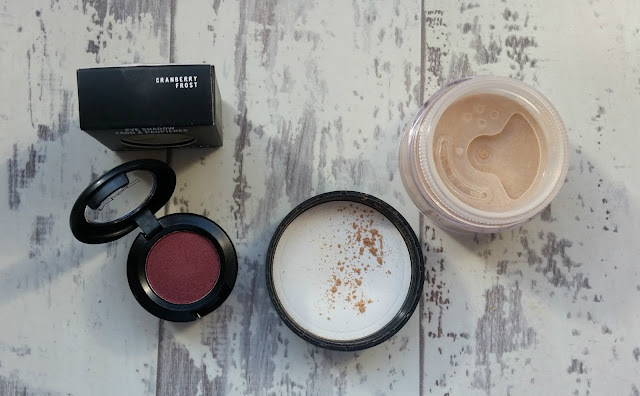 MAC Eyeshadow Cranberry Frost - I had to include this to the list, especially now we are into Autumn (which I am super excited about) the colour is simply beautiful, I had seen this many times and thought it was eventually time to pick it up, it goes perfectly with those dark plum lips and you can achieve a soft subtle look or a smoky eye just by using more or little product - I will definitely get my wear out of this over the next few months! Bare Minerals Matte Foundation (medium beige) - I have used this foundation in the past from the Bare Minerals starter kit and loved it! 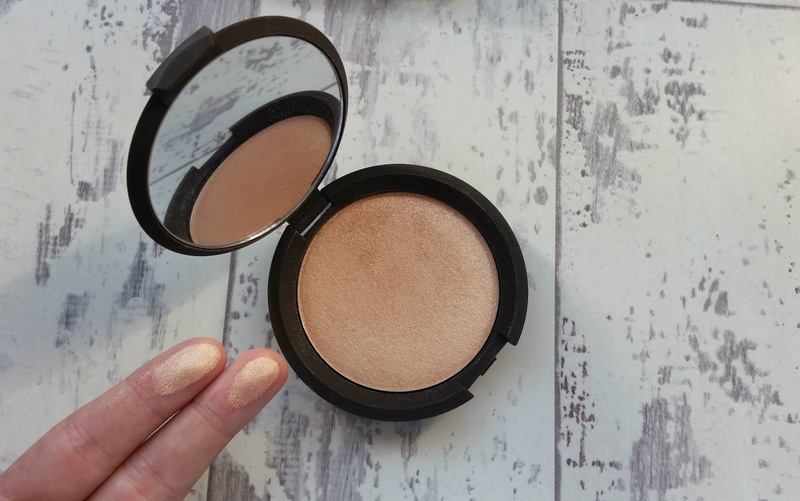 It lasted ages and was a great build-able coverage and was brilliant for my oily skin, with being a powder foundation! 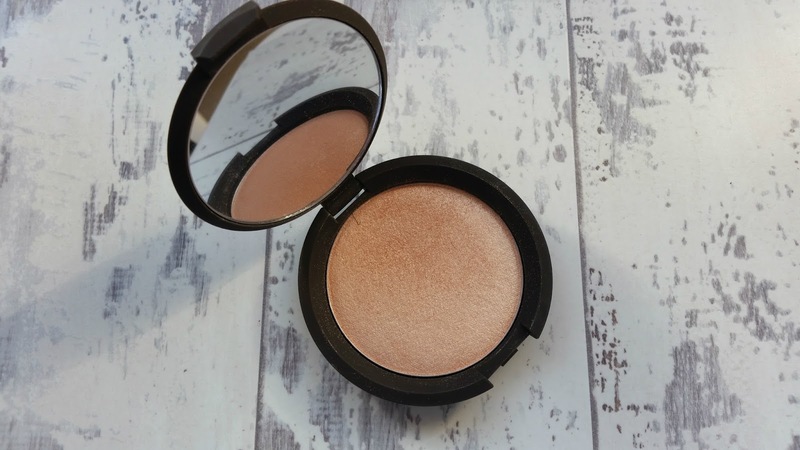 This summer and on holiday I have been loving minerals, having recently ran out of my L'oreal mineral foundation I thought I would give this one a try, the shade is perfect for my skin and it feels great to have a break from a liquid foundation once in a while! So there we have it, my must have purchases from the U.S! I can't get enough of them since coming home and can definitely see me getting use out of them over the next few months! 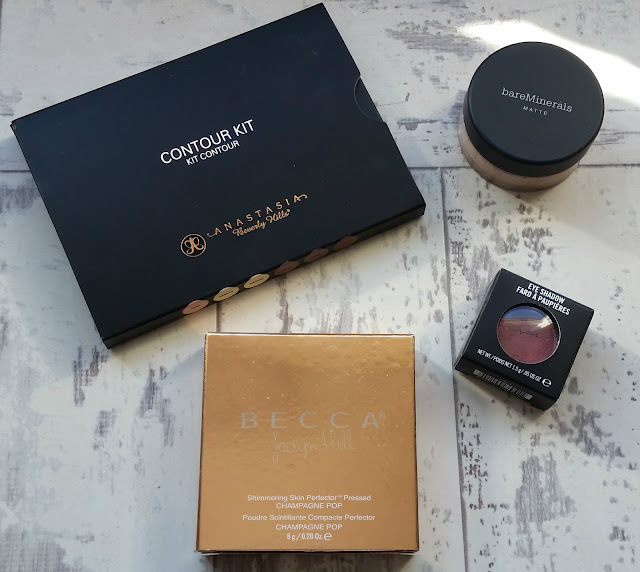 You have probably heard of these products - just like I did! But you never know if they work right for you until you try - and I am so glad I picked these up!